Robin's studio . outdoor gallery . performance & event space. 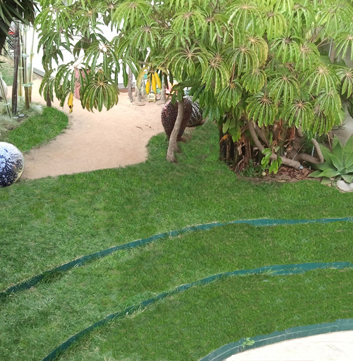 A semi public neighborhood "oasis" hidden in the middle of the city, with Robin's sculpture, earthworks, ever changing art car and an aerials rig. Performances First Friday's each month, Pet Adoptions Saturdays, Concerts, Dance, Theater, Circus, Public & Private Events. When Venice was created by Abbot Kinney it was a mash-up of Venice Italy and Coney Island. All came to enjoy the Italian architecture, the canals, arts performances, wild roller coasters, Midway amusements, Camel rides, and more. 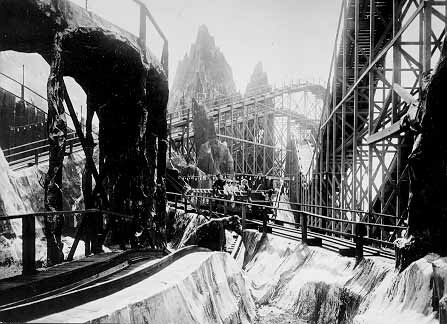 Pictured: The Venice Scenic Railroad, circa 1910. 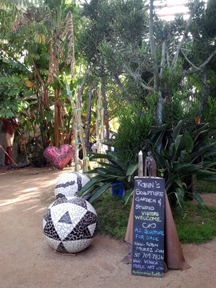 Robin's Sculpture Garden now provides a mash-up of arts and cool stuff for all to enjoy.